NFL Playoffs 2018: Which NFC Teams Stand Out? NFL Playoffs: Which NFC Teams Stand Out in 2018? Ignore their rankings, odds, and seedings because the NFC Playoffs is the wild wild west. When the NFC Champions are the lowest-seeded team and the other five didn't make the playoffs last season, you know we're bound for a few shockers. Right now, the Minnesota Vikings seem like the team to beat as oddsmakers indicate but they're far from a clear choice. This is not a drill: Case Keenum is the quarterback of the NFC's best team. The man with a passer rating in the 70s before starting with Minnesota is a top candidate for most improved player helping the Vikings to a 13-3 record. The offensive line gets part of this success as they only allowed 20 sacks, the fewest among all NFC quarterbacks save for Drew Brees. But the story is about their defence. The Vikings' D rank first in points allowed (15.8), yards allowed (275.9), and third-down percentage (25). They don't force as many turnovers proportional to their gaudy numbers but they did limit the likes of Atlanta and St. Louis to under ten points. With a defence this good, the Vikings will be in every game. Defence wins Super Bowls, after all. What a difference on season makes. The Rams improved by seven wins and won their division for the first time since 2003 on the back of Todd Gurley who had the NFL's best season as a running back since Rams legend Marshall Faulk back in 2001. Gurley accumulated 2,100 all-purpose yards and 19 total touchdowns with just about the same workload as last season. He's a frontrunner for MVP. Credit also goes to sophomore quarterback Jared Goff who finished with 3,804 passing yards (tenth), 28 touchdowns (fifth), and a passer rating of 100.3 (sixth). If the Rams' middle-of-the-pack defence can make big plays, this Rams team could go all the way. Despite having played the whole season and going 11-5, the Panthers still remain an enigma to mostly everyone. Wins over Minnesota and New England haven't convinced oddsmakers these Panthers team is "legit" and it's due to quarterback Cam Newton's shaky play, who has the fewest yards and lowest passer rating among the NFC quarterbacks (outside Nick Foles). But despite Newton's struggles, the Panthers still rank in the upper-half of the NFL in points (22.7, 12th) and and third-down completion percentage (42, seventh). They have a tough match-up against the Saints who swept them and are 7-1 at home but should they win, watch out for the 2016 Super Bowl runner-ups. In Foles the entire city of Philadelphia trusts. Womp. Talk about bad luck. Carson Wentz was playing an MVP season until he tore his ACL and backup Foles has been... not-so-great. 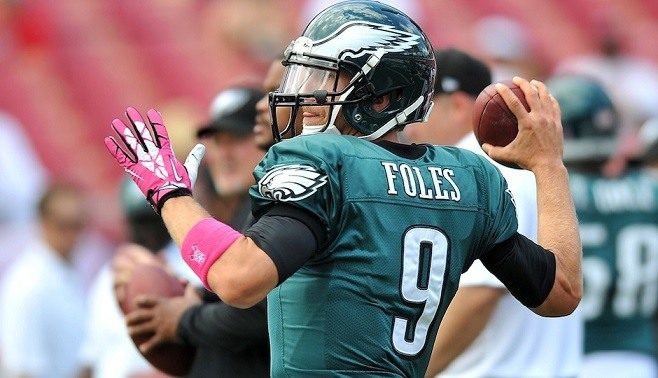 Despite still finishing atop the NFC and securing home turf advantage throughout the NFC Playoffs, the Eagles will have to get more creative around Foles's limitations as a QB. Thankfully, the Eagles still have a top-four defence with 306.5 yards allowed and 18.4 points allowed (both fourth-best overall) and the best home record (7-1). It's not that bleak in Philly. 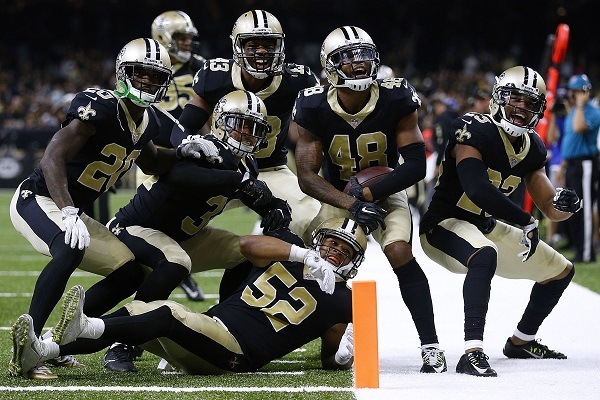 If we told you the Saints would be a top-two offensive team (391.2 yards per game) in the NFL with Drew Brees having the fewest passing yards and touchdowns since he arrived in New Orleans, you'd call us crazy. But that's what the Saints find themselves in. The revamped Saints offence lead the league in rushing touchdowns (23) and are fifth in rushing yards (129.4 per game). As a more balanced yet more prolific team, this is the best Saints team since they won the chip in 2010. 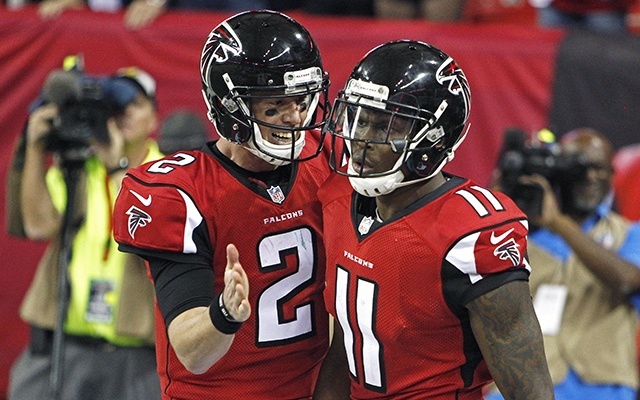 Last year's NFC Champions are the only returning team to the NFC Playoffs and as the sixth-seeded team. The Falcons struggled a bit this year but still have the NFC's third-best defence (19.7 points allowed per game) and still have the deadly one-two combo of Matt Ryan and Julio Jones. Their presence alone gives the team game-breaking talents to beat any team. The NFC Playoffs couldn't be more opposite of the AFC. All six teams have a legitimate shot to win the Super Bowl although oddsmakers clearly believe Minnesota is a step above everyone. Still, the Vikings are far from a sure bet even with their vaunted defence. The only way to really beat these odds is through thorough research and a bit of luck. Canadians can turn to these online sportsbooks to start playing. Learning about how odds work is the first step for many new players but now's the right time to get into the games.